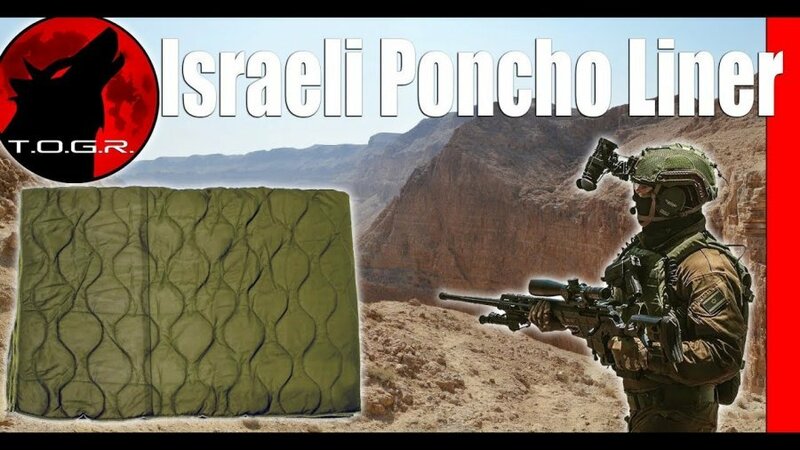 Originally designed to provide the IDF with a lightweight, piece of equipment used as a covering or field blanket in any environment, the poncho liner provides additional comfort and warmth while involved in combat or field operations. The Poncho Liner is an extremely versatile and useful piece of camping, hiking or survival equipment. Since they don’t have a head hole in them, the wet weather poncho liners make a good recreational blanket. Another great trait of these Poncho Liners is they dry quickly and easily if they happen to get wet. There are some differences between the Israeli Poncho Liners and the US GI Poncho Liners, if you are familiar with the US ones. Notably, where the US blankets have a soft smooth texture these Israeli blankets have a slightly rougher texture to them. They also are overall a bit thinner and stiffer but are packed with just as much if not more insulated quilting material. They make great underquilts for cots or hammocks as this material does not slide around.